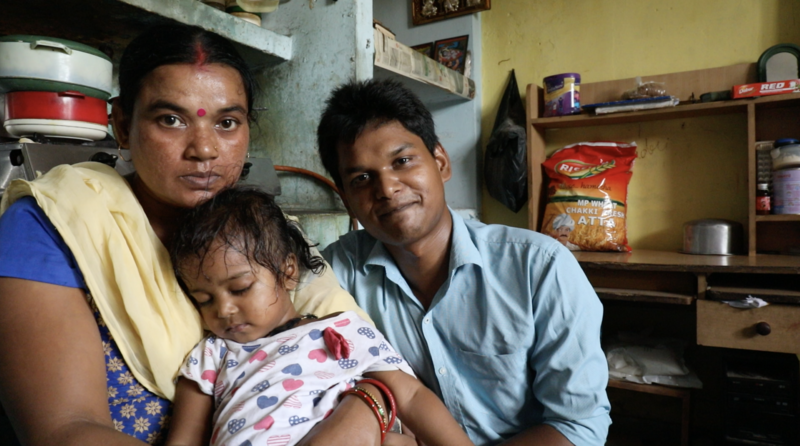 Recently my colleague, Max Barker, and I spent some time in India to visit and film the schools and educational centres Sopra Steria supports, and meet some of the students, teachers, volunteers and recipients of our scholarships. What I saw was transformational – demonstrable positive impact. In only 8 days, we travelled to our three main Indian centres (Chennai, Pune and Noida). Although it was a short visit, it doesn’t take long to get a sense for the scale of the need in India. Until this year, India had for decades held the undesirable distinction as the country with the world’s largest proportion of its population living in extreme poverty, less than $1.90 per day. And of course the population we’re talking about is huge – over 1.3 billion – an unimaginable figure for most of us, but one that you start to get a feel for in the country’s frenetic cities, where even as gleaming new buildings and signs of development appear everywhere, so do heart-wrenching scenes of hardship. But next to the scale of the need, I saw something else: in our visits to schools, and conversations with students, teachers, principals, volunteers and my colleagues, I saw determination and dedication like I’ve never seen. The students, ranging in age from 6 to 17, came to school joyful, curious, anticipating their day of learning and ready to work hard. Every day we visited at least two schools, and the warm welcome from students and staff, boisterous greetings from the children, and the visible commitment to learning was always inspiring and energizing. We were also honoured by several of the scholars we are supporting through university to be invited to their homes, where we saw that despite extraordinarily challenging circumstances, these young people are the embodiment of hope and ambition. They told us how they planned to do well in university, get a good job, then help support their families. One scholar, pictured below, had lost her mother and had basically raised her sister while her father worked in low-paying jobs, still managing to come top in her class and get into a good college. 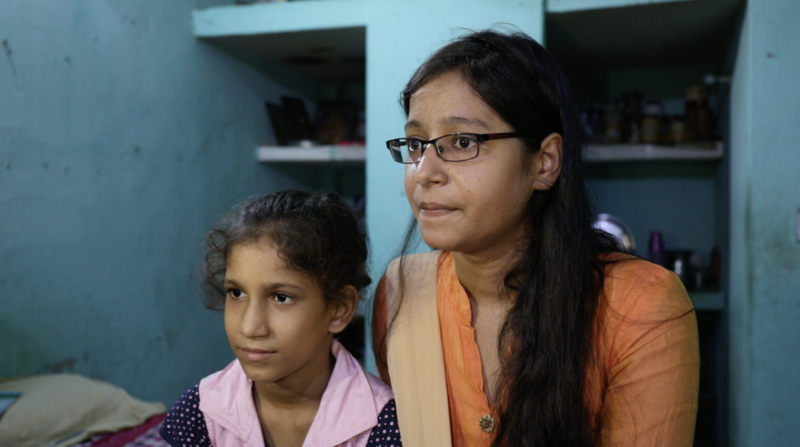 The three of them lived in one windowless room in a highrise slum in Noida, the possibility of complete destitution never far off. The hundreds of people making our schools and scholarships programme also made an indelible impression on me, from the Sopra Steria volunteers who give their time to teach classes and are met with riotous cheers from the young pupils who love them, to the retired engineer who volunteers full time at a girls’ school in Noida, teaching maths. Our programme works because of their dedication, too. Our programme is special for another important reason: it takes a holistic approach that yields sustainable results. All of the recipients of the Sopra Steria scholarships were once students in the schools that we support, which means we have been working with them, supporting them, getting to know them, their families and their circumstances before they apply for a scholarship. We select our scholars based on academic performance and potential, and financial need, all of which we have real insight into because of the depth of our relationships with them. Unlike other programmes that simply fund scholarships without that connection to the students, the schools, the teachers and principals, ours helps to ensure that our investment is not just in an individual, but in their family, their community and their collective future. Our scholars are committed to building a better life not just for themselves, but for as many people as they can reach by getting into gainful employment and sharing their success. Our relatively small gift is multiplied through their dedication and generosity of spirit. 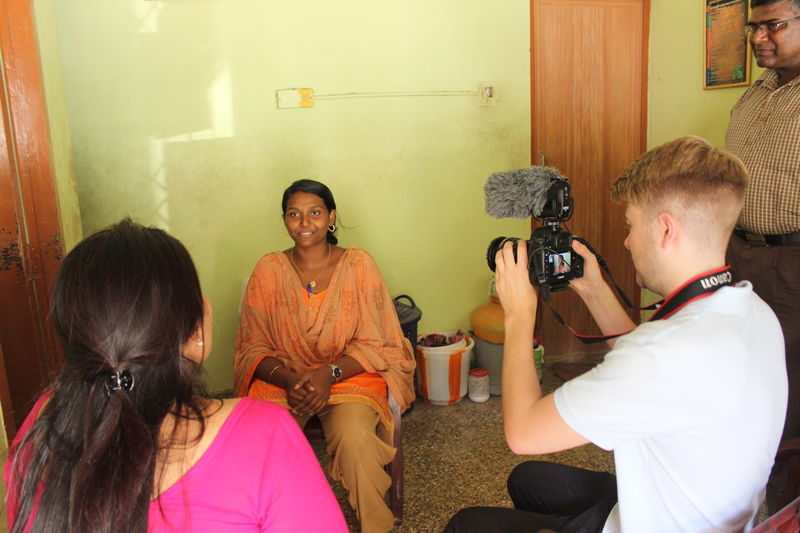 Over the coming months, we’ll be releasing several videos from our time there to introduce you to the work of the Sopra Steria India Foundation and the Sopra Steria Scholarship programme. Keep an eye out for these so you, too, can see how these powerful programmes are making a huge difference. I’m getting used to this kind of orchestral humour…! It’s been ten years since I started working with the British Police Symphony Orchestra (BPSO) and twice that time that Sopra Steria has been sponsoring their annual Proms Night Spectacular concert. On Saturday 2 December, we’ll be at Symphony Hall, Birmingham again supporting this incredible amateur orchestra and enjoying a fantastic evening. BPSO are passionate about helping others and sharing their love of music. The annual Proms Night Spectacular concert is all about raising money to help support their extensive annual programme in 2018. The rest of their concerts raise money for charity and over the years they’ve raised in excess of £150,000 for other charities and good causes. BPSO also have an extensive outreach programme, “PlayOut!”, working with schools and children’s groups, to introduce young people into playing music and the joy it can bring. Have a read about BPSO’s 2016 project at Ingestre Hall. This year’s Proms Night Spectacular, with its exciting programme, includes music from Pirates of the Caribbean, Magnificent Seven, Prokoviev – Romeo & Juliet, Out of Africa and Daphnis & Chloe. Everyone gets involved with the traditional ‘Proms Night’ ending whether it’s letting off party poppers, throwing streamers, jingling bells, waving Union Jack flags or singing along. You’ll be sure enjoy a wonderful finale with Jerusalem, Rule, Britannia! and Land Of Hope & Glory – and BPSO’s flagship fireworks finish! And the answer to the joke? Just one, but they’ll spend two hours checking the bulb for alignment and leaks! Posted on 1 November 2017 29 October 2017 Author Kathryn HoweCategories Community, PoliceTags charityLeave a comment on How many French Horn players does it take to change a light bulb? The #DigiInventorsChallenge finalists face the Dragons: rather than breathing fire, we were blown away! In a Scottish competition, The #DigiInventorsChallenge in association with Andy Murray and the Digital Health & Care Institute (DHI), sponsored by Sopra Steria , six teams involving more than 30 teenagers across Scotland were shortlisted to compete in the final of the #DigiInventorsChallenge 2017. I was honoured to be part of the #DigiInventorsBootcamp and judging panel to evaluate the six talented finalist team’s ideas that will transform health, fitness and wellbeing amongst Scotland’s young people. The teams all oozed confidence, passion and flair for their inventions and we really wished we could take all six from idea to invention! I harnessed my inner ‘Dragon’ and took my seat in the judges den with my fellow judges from DHI, Vodafone, Microsoft, Toshiba and Aberlour Children’s Trust. I was not prepared to be as blown away as I was by the innovation, insight, planning and forward thinking these young Scots had put into their pitches. It was very clear to me that finalists had learned loads from the masterclasses that included from ‘Idea to Invention’, ‘Developing your idea with users in mind’, ‘Marketing you and your product’, and meet the expert salons. I couldn’t help thinking how impressive this whole experience will be on all their CVs and personal statements and how much older I was than them before I gave my first pitch which was nowhere near as glossy or polished! We all recognised it was powerful to deliver strong messages to the teens, giving them the drive and passion needed to make the most of their experience. There can only be one winner and the winning team will be announced at Andy Murray Live on 7 November 2017 where they will also get the chance to meet Andy himself. The winning team will receive iPads, a cheque for £2,000 and the opportunity to see their design developed into a prototype by DHI and Sopra Steria. I can’t wait to blog after the 7 November to share the winning idea and photos from the event. Find out more about the inaugral #DigiInventorsChallenge and the six shortlisted teams. Posted on 26 October 2017 23 October 2017 Author motaylor1972Categories Community, Digital, Innovation, Sustainability1 Comment on The #DigiInventorsChallenge finalists face the Dragons: rather than breathing fire, we were blown away! Posted on 24 October 2017 23 October 2017 Author Emily WaltersCategories Community, Service design, Sustainability, User experience (UX)Leave a comment on Game, set, match! Volunteering: Just how much does business benefit? In the week 9th to 13th October, Sopra Steria colleagues across the UK will take part in various volunteering and fundraising activities all in aid of ‘Community Matters Week’, an initiative set up to encourage people to give a little back. In 2016, we raised around £20,000 for various charities across the UK. As well as the funds, staff spent plentiful hours volunteering, getting involved in community projects; from transforming a local school yard to helping out at a local city farm and knitting outfits for premature babies, to name a few great projects. The cynics among us may wonder why we spend precious working hours on things that, yes, are nice, but perhaps not essential to the task in front of us. However, I believe that employee volunteering programmes can have a positive impact on the workforce and there is plentiful research out there citing the significant business benefits of these company-led initiatives. By taking an active part in the local community, companies are able to raise their profile and enhance their reputation. Smart companies should take advantage of this free advertising by getting involved in volunteering in the areas most closely related to their business . This work in the community can provide fantastic case studies to present to potential clients and could potentially set the company aside from the competition . It’s fantastic to see various examples of this happening throughout Sopra Steria with employees volunteering at local coding groups, mentoring programmes with universities and facilitating work experience through the Career Ready initiative; all this voluntary work is included in our bid proposals and receives positive feedback from clients. Recently some of our clients have been so impressed with the voluntary work we do that they have asked us to get involved in workshops for them – a great opportunity for us to build long-lasting relationships and create future business prospects. Research shows that employees who volunteer through a company programme have increased levels of satisfaction in their work . Companies who promote volunteering to the workforce are also found to have higher levels of morale among staff members  and it has been noted that voluntary activities can provide a great sense of achievement and team spirit among the workforce . This is clearly evident among Sopra Steria volunteers; just ask any of them how they feel about getting involved with the local community. You will see them light up with pride and passion for the work they have done and the support they have received from the company! There is overwhelming evidence to support the correlation between volunteering and skills development amongst employees . Employees who actively participate in volunteering activities gain a host of transferable skills – from problem solving, enhanced communication skills to teaching and mentoring skills  – all of which could have a positive impact on their working lives. This is an area where I have reaped the benefits, my involvement in the Community Matters programme and my ongoing volunteering with my local Girl Guide unit has allowed my confidence to flourish. Through my volunteering I have enhanced my communication and networking skills, as well as developed skills in coaching and mentoring; all of these things have had a positive impact on my working life. Applicants are increasingly asking what we as a company do to help our local communities. The volunteering programmes are always a great selling point, people want to make a difference and see how the local community can benefit from that. It’s clear there are many personal benefits to volunteering; it definitely promotes the ‘feel good factor’. But the benefits are not only at a personal level, volunteering has a bigger impact which can allow us to shape the future of our business. It is great to be involved in a company that is so passionate about the community and I encourage everyone (even the cynics) to get involved; I promise it will be worth it. Discover more about Sopra Steria’s involvement in Community projects and commitment to supporting volunteering activities. Posted on 6 October 2017 6 October 2017 Author Leanne FerrieCategories Community, Recruitment, SustainabilityTags volunteeringLeave a comment on Volunteering: Just how much does business benefit?